In 2019, Britains biggest indoor international tattoo, with over 1,000 performers, returns to Arena Birmingham. Bringing together marching bands and exciting displays, world class performers will join local groups to create a three-hour spectacle for all the family that culminates in a Grand Finale featuring all the performers. Come and experience the pomp and pageantry that is the Birmingham International Tattoo. 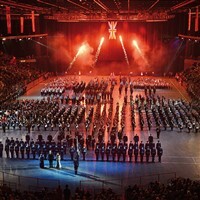 Hosted every November for over 25 years, The Birmingham International Tattoo has established itself as one of the UKs leading military shows, featuring all the colour and sound to match the world-famous Edinburgh Tattoo. Stay at the Park Inn by Radisson Birmingham in West Bromwich, located just 4 miles from Birmingham city centre. The 168 vibrant rooms feature free high-speed Wi-Fi and 24-hour room service. Youll also have free access to the Pace Health & Fitness Clubs gym, pool, sauna and steam room. A morning departure from the local area we travel to Birmingham to visit the magnificent Birmingham ‘Frankfurt’ Christmas Market, the largest in the UK. Traditional stalls offer an array of beautiful handmade toys, Christmas decorations, original jewellery and craft goods. Visitors enjoy the delights of Gluhwein, grilled sausages, pretzels, German beer, gingerbread and marzipan sweets. An evening meal will be served at the hotel. 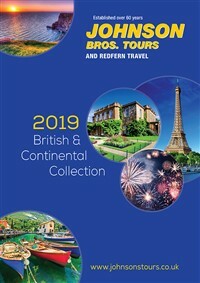 After breakfast at the hotel we travel by coach to The NIA for the afternoon performance of the Birmingham International Tattoo (14:00hrs) This impressive event, features bands and other performers from across the world in a three-hour extravaganza. With a cast of over 1,000 and culminating in the spectacular Grand Finale, there is something for everyone at this splendid event. The coach will depart at after the performance to begin the journey home.